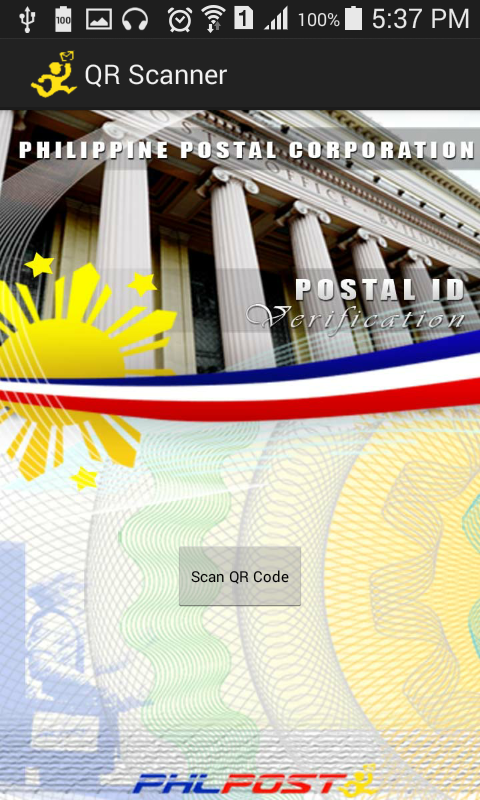 Application to verify the authenticity of new Philippine Postal ID. QR Code Scanner/Reader for the verification of cards andcertificates issued by ACEL. Verifies ACEL ID Cards andCertificates presented is valid, therefore avoiding fakes. QR Code RW is a free and easy application for your android phonethat lets you read and create QR codes and share them with otherpeople.You can also decode QR codes from your image gallery, saveQR codes in the history list and perform different actions likeopen a link in the browser, send an SMS, make a phone call, etc. QR Code Reader is the fastest free QR scanner & Bar codescanner on Google Play. QR Code scanner is an essential app forevery Android device. QR codes and Bar codes are everywhere! Scanall types of Barcodes and QR codes with simply opening the app andpointing it in the direction of QRcode or Barcode you wish to scan.QR Code Reader will automatically recognize any Barcode or QR code.QR Code Reader offers: - QR scanner - Barcode scanner - Instantscanning and decoding - Simple to use - Professional design -Flashlight for low-light environments - Scan history - Worksoffline, no internet connection required QR Code scanner can scanall 1D and 2D barcodes / QR code types including UPC, EAN8, EAN13,QRCode, Data Matrix, Quick Code, ISBN, EQS, CODE39, Code128 andrecognize text, URL, contact, calendar, email, location, Wi-Fi andmany other QR formats. Scan coupons to save money! Download QRCodeReader now! 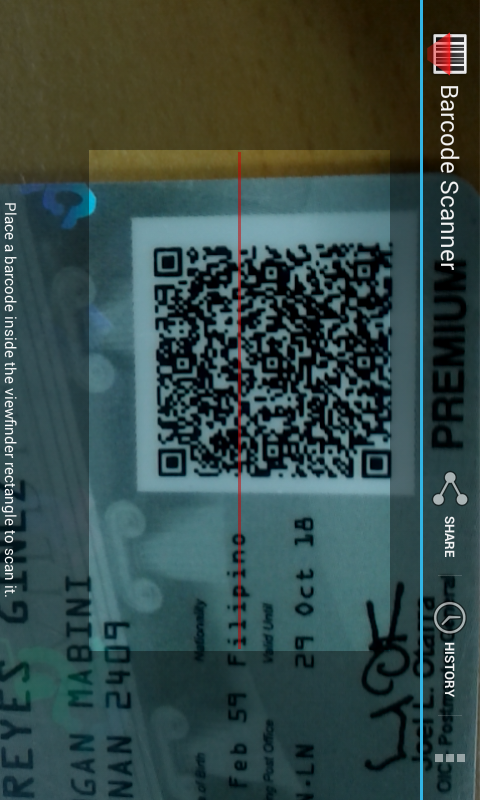 This is the QR code and barcode reader. It is the fastest and themost accuracy QR code reader in Android, so you can stably read theQR code and barcode! There are a lot of QR codes and barcodes in avariety of products and medias, but you can not read them if yoursmartphone has no application to read them. In that case, pleaseuse this application to read the QR code and bar code. Just holdingthe camera, you can read information quickly. QR codes and barcodesare continue to increase in the future, Let's get more and moreinformation by this application!